File photo of plastic waste on a beach. THE GOVERNMENT HAS announced plans to wage a “war on single-use plastics” in the new year, and has admitted it’s behind on preparing for a new EU law on plastics. This will include advancing legislation to ban both the sale and manufacture of microbeads. Minister for Communications Richard Bruton will be tasked with leading the campaign, which will begin with a total ban of single-use plastics across government departments, state agencies, hospitals and schools. This will only apply to ‘unnecessary’ plastics, as many disposable plastics are still required in the health sector. Speaking to reporters, Taoiseach Leo Varadkar said Ireland already ‘does very well’ in this area, something the country doesn’t “get as much credit for as we should”. “We are a leader when it comes to recycling and we are a leader when it comes to renewable energy,” he said. “Obviously, climate emissions and greenhouse gas areas is an area where we laggard and are falling way behind, but I think there is a whole environmental agenda that is about climate change, but is about more than climate change. Plastics is a big part of that, so we will have the legislation on microbeads enacted next year and there is a European law on single-use plastics as well and we are very much behind that. In addition to the public sector ban, the government will also examine “new and more ambitious actions for recycling of plastics”. It will engage with retailers and producers with the aim of reducing plastic use voluntarily. Cabinet agreed in July to ban microbeads, but progress on constructing legislation has been slow. Microbeads are mostly used in some soaps, shower gels and facial scrubs to exfoliate skin, although they can be found in toothpaste and abrasive cleaners. The US banned their use in 2015. EU countries and the European Parliament agreed before Christmas on details of a ban on single-use plastics, including plates, cutlery and drinking straws, in a bid to cut marine pollution. The new rules target the top 10 items most frequently found littering European beaches. Plastic cotton bud sticks and expanded polystyrene food containers are also barred, as the EU tries to cut back on products that account for huge quantities of waste in the world’s oceans. 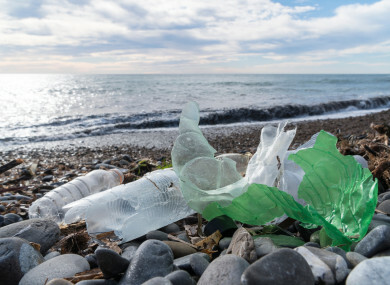 “Where possible, the measures laid down in this directive and their implementation should give priority to waste prevention or to the transition to reusable products rather than to other single-use alternatives,” the EU council said in a statement. Email “The government is declaring war in 2019 (on single-use plastics)”. Feedback on “The government is declaring war in 2019 (on single-use plastics)”.